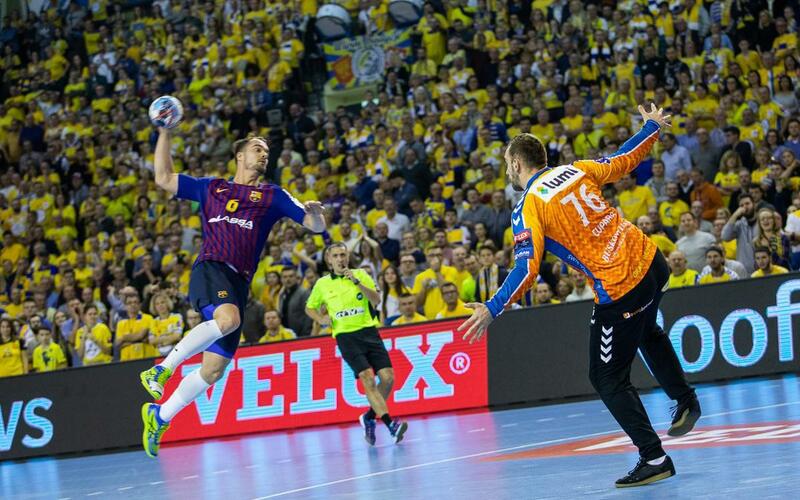 The blaugranes acquired their eighth successive victory in the Velux Champions League against a direct rival, reaffirming their leadership of Group A with 16 points. The top scorers for Barça were Brito Duarte and Mortensen with nine goals each. The game started with very compact defensive work from both sides which meant goals were at a premium. Any success in front of goal from the hosts was cancelled out by Xavier Pascual’s side. By half-time, the advantage was slightly in favour of the visitors (15-18). The second half began with an exchange of goals between the two teams (18-20). Barça were very quick in attack and with Palmarsson offering a masterful game management class for the Blaugrana, they were more and ore comfortable in possession. The Mortensen-Duarte connection shone, allowing Barça to pull further ahead (25-30). As of that moment, the locals failed to get back into the game with more high velocity attacking ensuring that Barça eased to victory in the end. PGE Vive Kielce: Cupara (-), Dujshebaev (5), Aguinagalde (3), Janc (5), Lijewski (2), Kulesh (6), Karalek (5) – starters- Jachlewski (2), Jurkiewski (1), Moryto (5), Fernandez (1) and Dobichevaeva (1). Barça Lassa: Pérez de Vargas (-), Mortensen (9), Victor Tomas (6), Dika Mem (2), Brito Duarte (9), Palmarsson (5) and Fabregas (2) – starters – Moller (-), Entrerrios (1), Ariño (1), N’guessan (5), Goncalves (1) and Dolenec (1). Breakdown: 3-3, 7-6, 7-10, 9-13, 11-14, 15-18 (half-time), 20-22, 24-25, 26-31, 30-35, 34-41, 36-42. Officials: Stevann Pichon and Laurent Reveret.